Will I Lose Weight on Whole 30? It’s a new year, and for many, that means new weight loss goals. 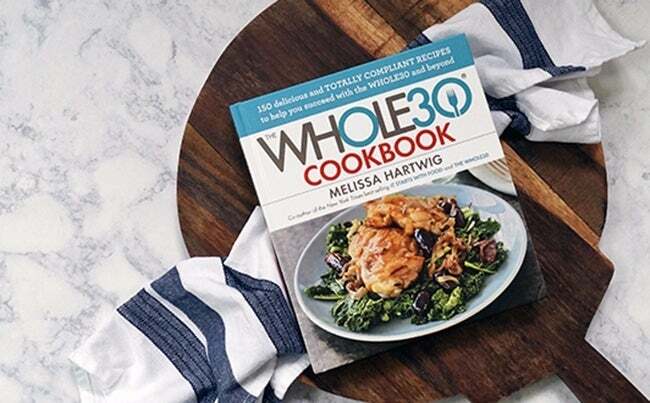 With so many diets to choose from, Whole30, whose founders claim the program will “change your life,” can seem like a good option, but will it really help you meet your weight loss goals? While following the Whole30 program will result in some weight loss, it comes at a high price. The program requires participants to eliminate sugar, alcohol, grains, legumes, dairy, sulfites, MSG, junk food, baked goods and any treats — even if they comply with the above rules — from their diet for the entire 30 days of the program. While it’s a good idea to eat things like sugar, sulfites and junk food in moderation, restricting yourself from eating is only going to make it that much easier to crave these prohibited treats, which could lead to binging on them once the 30 days are over. Moreover, weight loss resulting from this program is most likely attributed to a decrease in carbohydrates and sodium, rather than a reduction in fat storage in the body. Weight loss can also come from restricting calorie intake, but restrictive diets do not work in the long term because they are so hard to maintain, and often lead dieters to gain back some or all of the weight they initially lost. Of course, this weight does not come back on all at once, but because Whole30 is so restrictive, there is a high likelihood that once the 30 days are over, participants will crave the food they’ve been deprived of, binge, and fall into the trap known as the “what the hell” effect, where dieters who have strayed from their diet feel defeated and continue to make unhealthy food choices. However, this is not to say that Whole30 should be completely dismissed. For the right person, it can be the key to meeting their weight loss goal. To successfully follow the diet long-term, it’s advisable to incorporate some, but not all, of its principles into your daily life. Focus on eating wholesome food and limiting junk food and treats to rare occasions, rather than banishing them completely. Also keep in mind how this diet might negatively or positively interact with your workouts; if you’re a frequent runner, a Whole30 diet might not give you the carbohydrates you need to fuel your workouts. If, however, you prefer strength workouts or low-intensity fitness like yoga or Pilates, this low-carb, high-protein diet could be a good option for you. And as always, be sure to speak with your doctor before trying any new diet.